I love reading books, and have always read books on paper and not electronically. I wasn't sure if I will be up for the challenge of replacing reading my print books with an eReader. 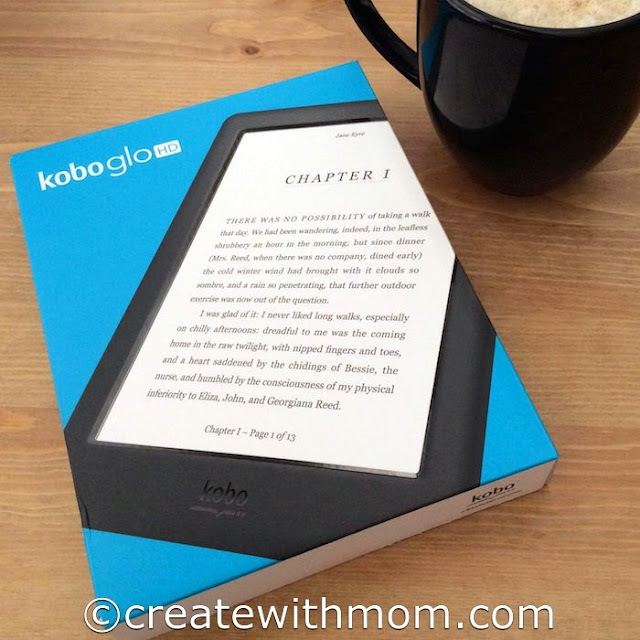 I am glad I got the opportunity to use and experience the Kobo Glo HD. I am pretty much getting addicted to this device, and enjoy reading novels on it. I love how it shows the percentage on the bottom to show that the end of the chapter is approaching, so I can manage my time. I have been using the Kobo Glo HD while travelling, relaxing, and before bed. I love the ink they have used because it makes it feel like I am reading a paper book, and that it is not on an electronic device. While I was reading, I caught myself trying to moist my finger and turn the page. 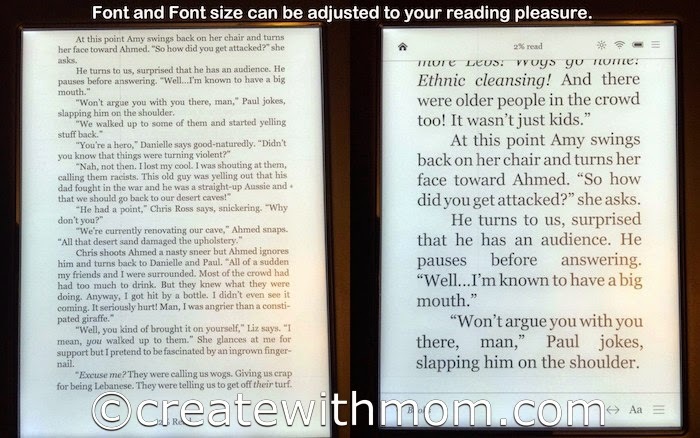 This device is similar to a size of a book, and uses a 6" HD Carta E Ink touchscreen that has a quick to adjust ComfortLight on its left hand corner screen that I can slide up and down with my finger to either increase or decrease the light. Since I started using the Kobo Glo HD, I haven't had the night light on while reading. I love that the screen is anti-glare and that I can adjust the light depending where I am, and how much light I need. I appreciate that when I read these books the screen orientation doesn't keep changing despite my position; lying down, or sitting up. I love that I can change the size of the font, and even the font to what I like... I cannot do this on print books. This convenience allows me to enjoy reading without my eyeglasses, which gives me a wonderful feeling of freedom, and enjoy a new experience of reading like I used to before glasses. This lightweight, portable device allows us to store up to 3000 eBooks and read conveniently. I love that we don't have to worry about charging the battery often because it lasts for up to 2 months, so we can enjoy the freedom of leaving our charger behind. Through Wi-Fi, we can easily and instantly access the Kobo 24/7 eBookstore and download any book we want within a couple of minutes depending on the size of the book and the Wi-Fi connection. I love that the Kobo app is easy to browse and that it gives us access to personalized recommendations, free previews and reviews. The Kobo App can be used on many devices such as iOS, Android, Blackberry 10, Windows 8, or Windows 8 phone or desktop computer. We can continue reading the books on any of the devices and use it interchangeably as it remembers where we stopped, and it will ask if we want to continue from the spot we last read. With my family, everyone wants to read on the Kobo so we downloaded a few books that my children wanted as well. I love that we can highlight a word we are unsure of and see the definition right on the screen. We can choose words and click to see where else the word appears on the book or what it says about the word on WikiPedia and Google. 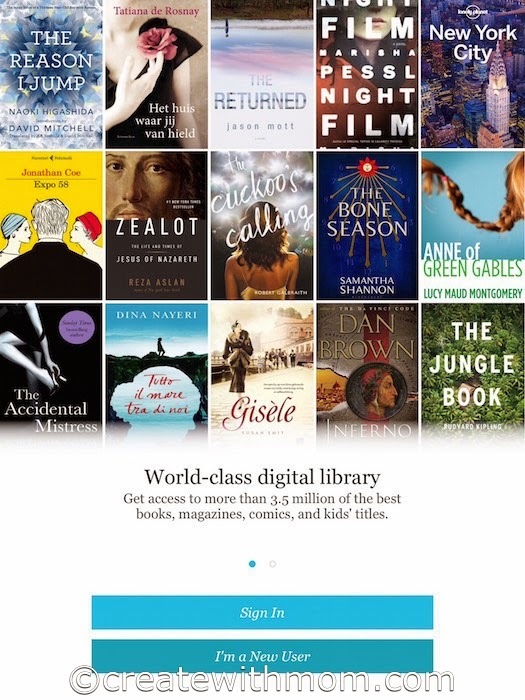 Kobo updates the software frequently giving access to various new features. On the Kobo Glo HD, I noticed a beta feature that we can enable the web browser to access the web. During the past week, I read a funny and interesting book by Randa Abdel-Fattah called Does My Head Look Big in This? that I totally recommend you to read, it will keep you hooked. We can also borrow eBooks from the Toronto Public Library and enjoy reading. eBooks will automatically expire at the end of the lending period, and can be returned early. This way we don't have to physically go to the library to borrow the books. There is more information about this process on the Toronto Public Library website. This device is perfect to take when we travel, and for all those who love reading, including the print traditionalist. Download the Kobo App, and try it yourself to see how much you will enjoy reading the same books you love and have a completely enjoyable experience. 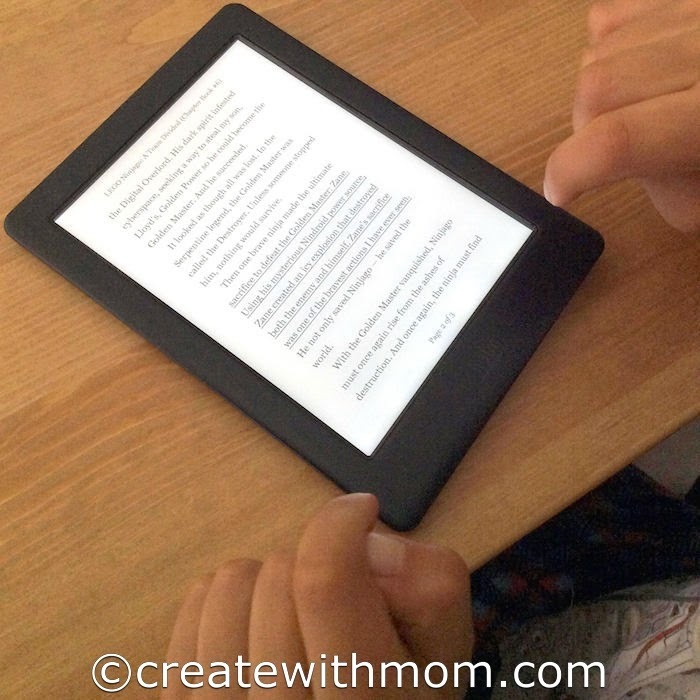 Use the Discount code createwithmom to get 35% off select eBook purchases. Discount will be confirmed at checkout. Offer valid until June 30, 2015 at 11:59 PM EST. This offer is not valid in conjunction with any other offer or promotion and cannot be used to adjust amount paid on previous purchases. Discount code must be entered at time of purchase to qualify for this discount. Discounts cannot be applied nor the discount value refunded once a purchase is complete. Rakuten Kobo Inc. reserves the right to change or cancel this offer at any time without notice. 200 Readers from USA and Canada (except Quebec) can win 1 of 200, $10 gift card by entering this Mom 2 Mom Challenge before June 15th. I think the glo is great also. LOVE mine! yeah I've got one too, pretty fantastic! I would like to win one of these! One day I will either win myself or buy myself one of these! I think the glo is awesome!! Thanks for the article! I have been thinking of getting one. Sounds like a wonderful way to bring ALL my books camping! I have always want to have Kobo. I wish I have one. The Kobo looks really cool! I love my Kobo, but it's time for an upgrade! Would love a Kobo!! heard many great reviews!! These look like a good alternative to the Kindle. love KOBO. I do not have a Glo but a regular one! This looks so nice! I would love an e-reader! I used to think I'd never like a reader over paper books but my eyesight isn't as good anymore. I think one of these would be very good for me. I have a Kobo and LOVE it! Would love to own a Kobo Glo!